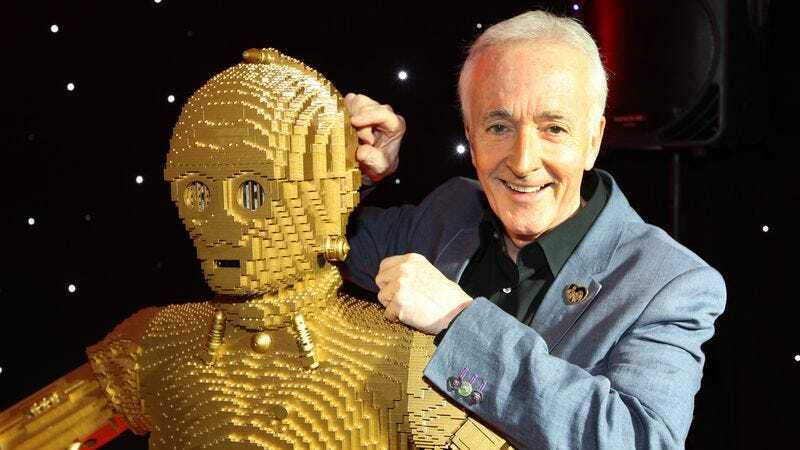 You’d think a protocol droid would be more tactful: In a new interview with The Guardian, Anthony Daniels—the gaunt Englishman who has spent basically his entire career playing R2-D2’s codependent robot pal C-3PO in the Star Wars movies—compares Disney’s tight-lipped attitude about The Force Awakens to the Kremlin. Apparently one of the over six million forms of communication in which Daniels is fluent is Twitter, where he recently got in trouble with his (presumably fur-hat-wearing) corporate overlords for saying too much, by which we mean anything at all: “I said that I’d met so-and-so. An actor who plays a … thing in the film. A character,” he explains. “Immediately I received a message from Disney: ‘Remove the tweet! You’re not allowed to say that!’ Honestly. It’s a kind of Kremlin attitude,” he says. Still, Daniels can’t seem to help himself: Explaining that Force Awakens director J.J. Abrams was “too respectful” to suggest any alterations to Daniels’ characterization of C-3PO, he says, “There was, however, some debate about a certain issue, whose outcome will become apparent in due course.” After all, he’s only an actor.